An affordable, cute, and festive garland to hang on the fireplace! Something super easy and quick to make to brighten up the mood! If all else fails, grab some pine cones from outside and set it as a centerpiece with your decorative gourds, and string some leaves from outside to make a garland! Did your family or friends decide last minute decorating would be appropriate for your feast? Not to worry, this simple and adorable craft will add some festive cheer to your home. Inspired by Michael’s Craft Store’s own banner we’ve got an easy hack for you. 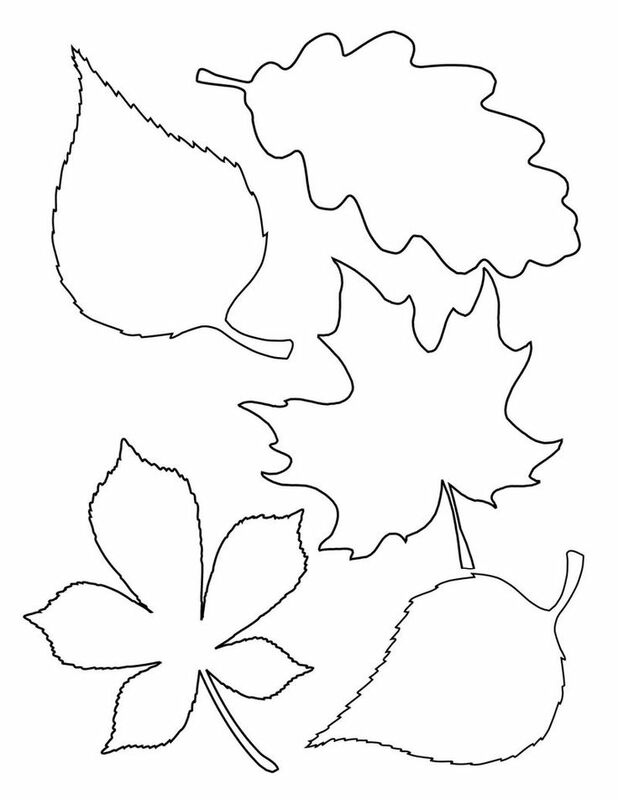 Using this handy template you can print and cut out your leaf designs on any paper you have (if you’re feeling lazy, use construction paper so they’re pre-colored). If you’re feeling extra festive and have the will add some glitter. You can also alternate between decorated leaves with blank ones where your guests can contribute by writing what they’re thankful for. Making the decoration interactive is an even sweeter way to make your home feel cozier! As an added bonus, you can paint a piece of cardboard white and paint the word “Grateful” onto it much like Michael’s own version. You were a busy body and your home is set for the feast! Cooking is sure to make your kitchen and dining room smell amazing, but what about the rest of your home? And let’s be honest, Turkey and sides can only do so much, there’s nothing like those crisp fall scents that Glade captures so well! But what if you can create those scents AND have a pretty display at the same time? Follow the simple guide above and you’re set! Many people love the vintage look when it comes to decorating their homes, especially during the fall and winter season. 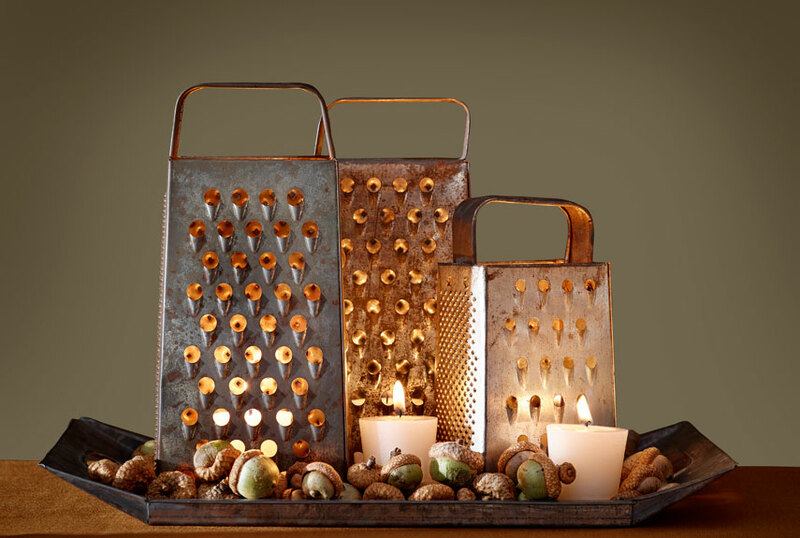 This Box Grater Luminaries is such a great idea when you want to add a little spice anywhere in your home. This could be placed in the middle of your dinner table, or even in the middle of your coffee table. If you don’t have any “vintage” box graters, don’t worry! Spray paint could do wonders. You could easily have it spray painted into any color you want, for example: gold, silver or even rose gold. If you’re anything like me, having a board where you can visually see what your goals are, what you need to get done, or simply what you are thankful for is a must. This message board can be done at your Thanksgiving family get together. If you have siblings or kids of your own, have them help by cutting out the leaves with different material such as construction paper or even newspaper. It’s a great way to get everyone thinking what they truly are thankful for and it also creates great memories with the family! Valentina is a business student with an open mind for all things creative and innovative. She knows the real-life struggles but maintains an idealist view. She can easily be entertained on a spectrum of Gossip Girl to House of Cards with Portlandia in between. Rubi Elizabeth Berry H. is a Junior at Rutgers University, majoring in Communication and minoring in Spanish. Creativity is her gateway to a happy life.